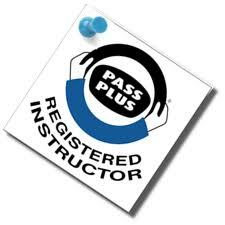 Pass Plus is an optional course introduced by DSA and is considered the best way to give additional driving experience to a qualified learner by an ADI (Approved Driving Instructor) that is Pass Plus registered. It has been statistically proven that entirely new drivers are more often considerably more prone to mishaps, predominantly within the first couple of years of driving. Pass Plus comprises six modules,each covering a different aspect of driving. Some of the aspects may be covered in theory only, such as weather and night driving which require conditions that may be hard to replicate especially in the summer, or motorway driving if there is no motorway nearby. However, this is only done when a practical training session is not possible. The scheme takes a minimum of six hours to complete. The practical assessment is more lenient than that used in the standard driving test, and adherence to many rules that would otherwise constitute a major mistake in the main practical exam (such as allowing the car to slide against its gear, or parking at an angle) does not apply. It is only required that one is able to drive safely and legally. There is no examination at the end of the Pass Plus course; rather, a certificate is awarded once the instructor is satisfied with the candidate's competence. Achieved: successfully reached the standard required for each of the competencies. Exceeded: exceeded the required standard for each of the competencies. If a module is completed in theory, "Achieved" is the highest standard possible, as the candidate does not have an opportunity to practically demonstrate their competence. As well as gaining invaluable Pass Plus could save you ££££ on your insurance. Once you’ve completed Pass Plus you may be able to get a car insurance discount. Check with insurers that you can still get a discount if you passed your practical driving test more than a year ago. The amount of discount depends on the insurance company. Not all insurers offer Pass Plus discounts. You might be able to put the discount on hold for up to 2 years if you don’t have a car at the moment - check with the insurance company first.